With a stunning website, and several beautifully produced editions for UK, USA, Australia and the World, this new guide gives diners every reason to think about spending their money in restaurants that care, that are sustainable and are mindful of locality and community. 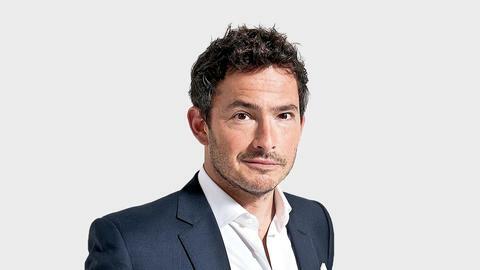 Giles Coren has been a restaurant critic for almost thirty years. He lives in London and writes a weekly restaurant column in The Times. He editor of both the UK edition of Truth Love & Clean Cutlery, which identifies 350 sustainable establishments, and the World edition (which I contributed to as NZ editor.) He’s seen the London culinary scene, which is central to British eating, move from being what he calls “rubbish” when he first wrote in the 90s to a vibrant diverse landscape of eating that is currently the envy of New Yorkers. He attributes this to the exciting new wave of young restaurateurs who have come to the industry without traditional training or apprenticeships and are not bound by old rules and attitudes. The hipsters, the folk with no job security, those who are adventurous and willing to set up bars, small places only serving one thing and highlight healthy, approachable food. So how did he assemble the 350 places in TL&CC? Coren confessed to having spies and great contacts around the country. He wrote the whole book, working from extensive surveys the nominated establishments provided and admits to having only visited around two-thirds personally. But it has made him aware of so many intriguing and dedicated restaurants that have gone on to become the focus of his weekly reviews and has not been disappointed to date when visiting them. The extent of the British entries is interesting for farm shops and food events are included, along with three-Michelin-starred Le Manoir aux Quat’Saison where Raymond Blanc has led the way in the importance of provenance of food, and the Bakehouse Café, a brilliant little coffee shop in Forres, North Scotland. He has no time for the World’s Best 50 annual restaurant competition – “restaurants where the customers include a high density of rich idiots” and eschews the Michelin star system – “leave the stars to the clip joints,” he says. I asked him where his current favourite restaurants are in London. He explained that all the action is currently in East London, and shared three very sustainably focussed places: Cornerstone, a casual fine dining restaurant offering the best seafood of the day in sharing plates, Ikoyi with its Nigerian menu where nothing is familiar and everything is brilliant, and Western’s Laundry with pristine sustainably caught fish and natural wines. And for the more conventional diners, Coren suggests Portland in Great Portland Street, W1 which he explains is a proper grown-up restaurant with simple, imaginative food in a calm setting. I would easily classify Lauraine Jacobs as the high priestess of the international food and wine scene. ©2008–2018 text Lauraine Jacobs, photos Ken Downie. A Random House book. Site by Cactuslab.